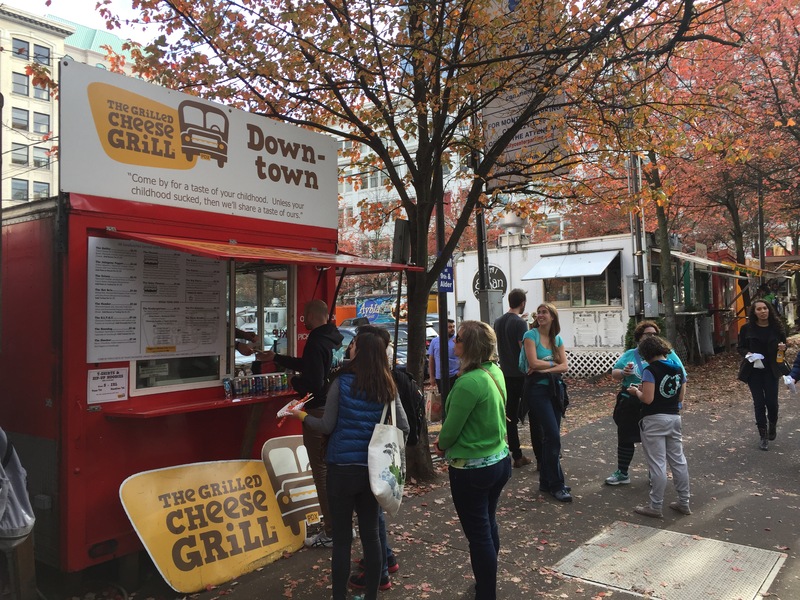 While wandering across downtown Portland towards a renowned local brewpub, I instead got distracted by 2 whole blocks of food carts. After wandering around and inspecting the menus, it was a difficult decision between Ethiopian, gyros, Persian, Thai, Mexican, Korean BBQ, Carolina BBQ, Polish perougies, German bratwurst, swarma, and every fusion mashup in between. 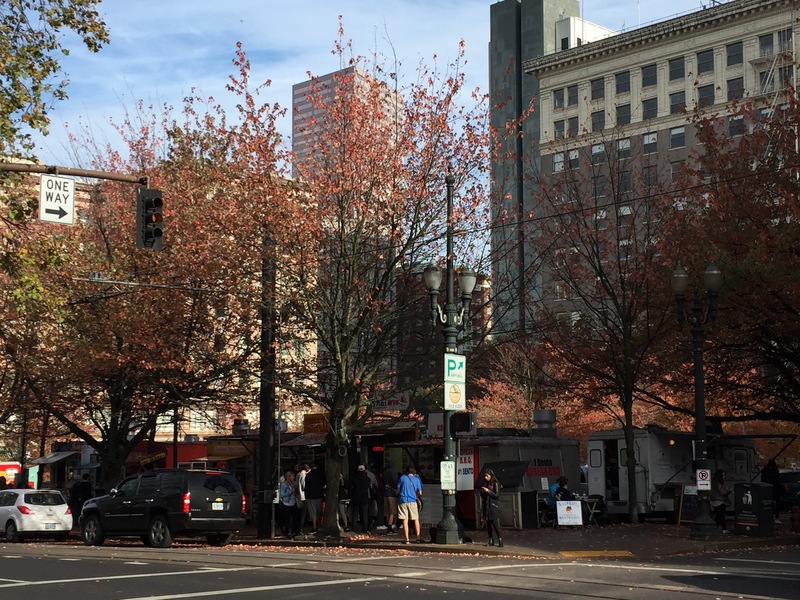 The food carts at 10th and Alder are a long standing Portland institution that I had never heard of, but became an instant fan. There are a few clusters of these carts on parking lots scattered around downtown. Some of these carts have been in their current locations for over 15 years! 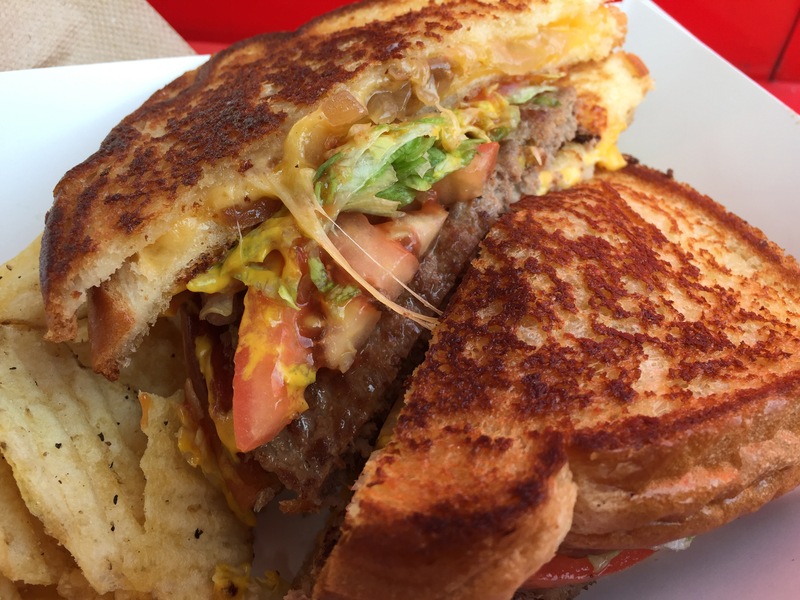 I settled on the grilled-cheese cart from The Grilled Cheese Grill and their massive grilled-cheese-burger, “The Cheesus”. This heavenly mashup brings to mind the old jingle about beef patties with tomatoes lettuce and sauce on a sesame seed bun — scratch that — TWO GRILLED CHEESE SANDWICHES! Filled with gooey cheese, perfectly toasted bread, and a savory burger, this is the grilled cheese you wish you had as a kid. 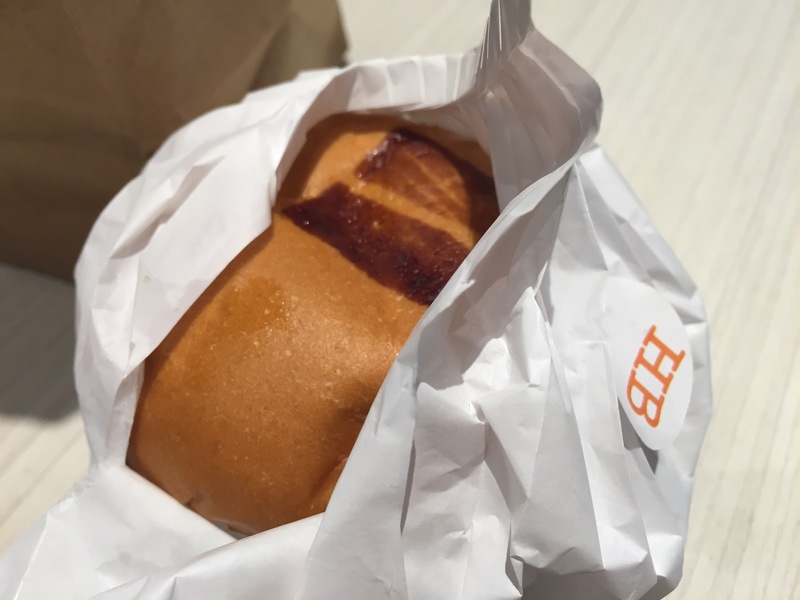 With about a dozen other cheesy options, Portlandians are clearly spoiled, and this place deserves the growth and multiple locations they are seeing. But even if you are lactose intolerant, swing by Alder and 10th the next time you’re in Portland. 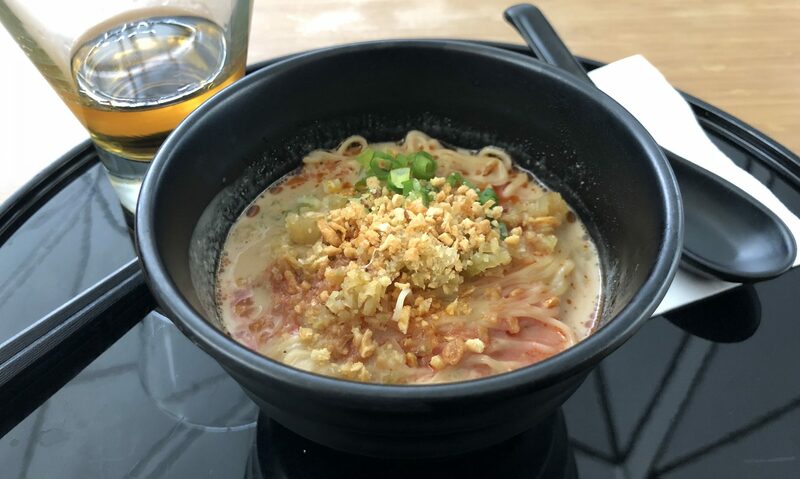 You won’t be disappointed by the myriad of options regardless of your palate or dietary restrictions. It’s been a while – so let’s pick things up as I sit in the terminal waiting for my flight. Recently LAX built a whole new international terminal with a pleathora of flagship dining options. 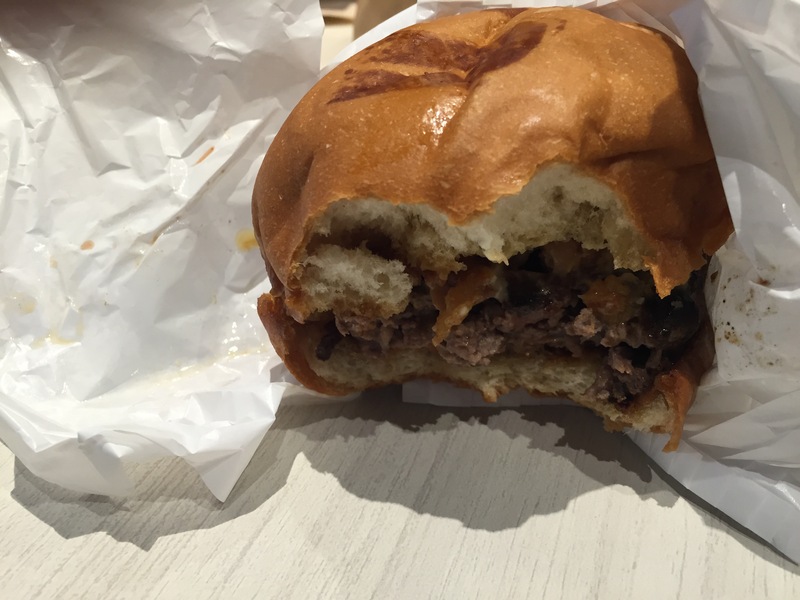 We opted for Umami Burger, that SoCal chain that gets even more rabid fan frothing than In N Out. 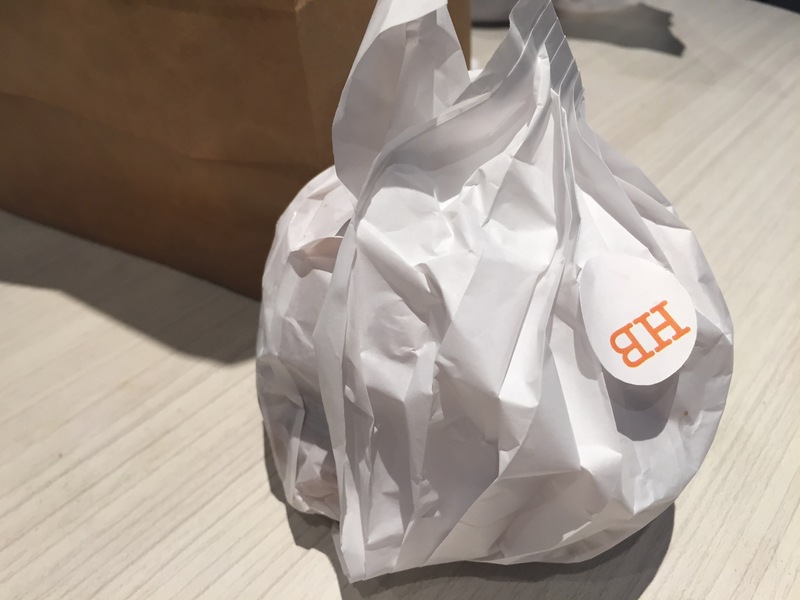 While the choices are limited, the definitely hold up to their equivalents at full locations, although u was surprised they didn’t carry the signature namesake Umami Burger. So instead I took my second favorite, the Manly Burger with loads of beer cheddar and bacon. Pearl went with my second fav, the Hatch Burger with a grilled Hatch chile pepper. 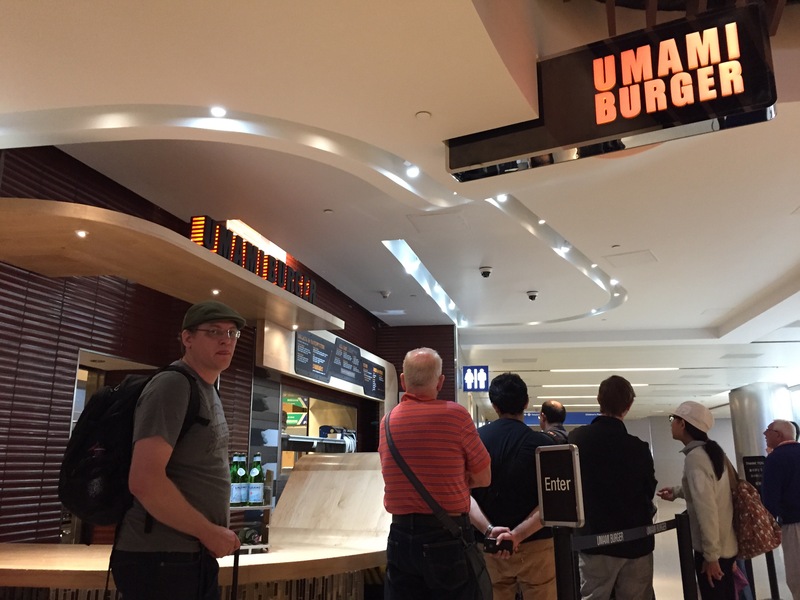 All in all a little disappointing for those familiar with Umami, but still a fantastic option for terminal dining.